I am currently changing my approach to spending money, in the most obvious, (in hindsight) way. First I did an audit of how I spend my time, then I looked at how much I could improve my level of enjoyment or productivity by investing money in support of each activity. I also looked for new activities that I could add to my life if I spent some money. – I reaffirmed my decision not to spend any money on cars for a long time, my current car get used for about an hour a week, although my wife uses her’s more, so we won’t be investing in a second car when hers gives up in a few years time. Tarantella has always lagged behind Citrix, but with the advent of “Secure Global Desktop”, reviewed here, and at $60/concurrent user it offers incredible value for money and near key feature parity, especially for enterprises with a very low concurrent to potential user ratio. 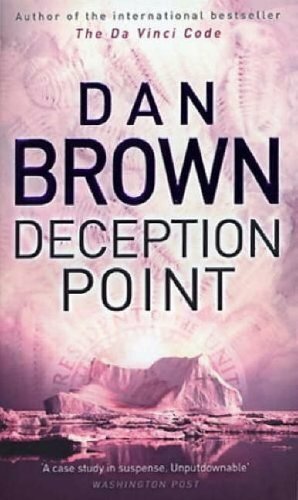 After The Da Vinci Code and Angels and Demons Dan breaks away from the religious theme and writes a traditional thriller. Its got good pace, lots of mystery and conspiracy and some interesting science. Like all of Dan’s books he opens them by stating that all of the technologies he describes all exist, which gives the books that extra bit of interest. I liked this book. In some ways it was better written than the previous two which made up for the fact that the subject matter was not quite as facinating. Not a book you will remember for long, but if you want a good book for a long plane journey, train ride etc it’s ideal. I wrote a short article yesterday about how my SwimMP3 player has transformed the way I swim. In this article I will provide a better review of the device itself. First off it looks quite strange, you get lots of looks whilst swimming. If you like to chat to people then it’s a good ice breaker! It has 128MB of memory, which is reasonable for music, if you set it to random then most people won’t get bored even if they swim every day. If like me you listen to talk shows, conferences etc then 128MB is more than enough, in fact the way I use it I tend to load it up with just 2 * 30 minute MP3 files, less than 30MB, why 2, just in case I don’t fancy the the content of the first one and need an alternative. Each day I just delete the talks I have listened to and download another. ü Continue to improve on the limited success in not biting my fingers and lips!